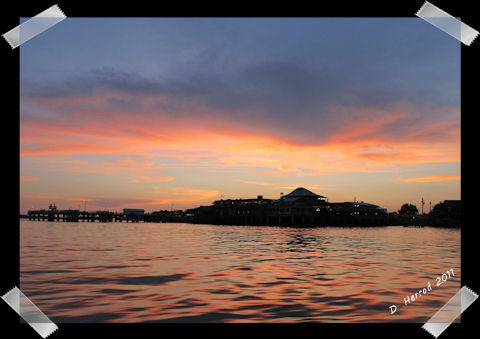 I took this at Cedar Key, Florida. We had gone on the sunset cruise. The public pier is on the left hand side. It is the new concrete one that was built after the 2004 hurricanes wiped out the old ones. On the right hand side is the old Sea Breeze restaurant.